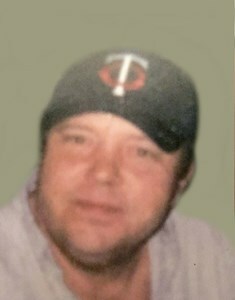 Gerald "Leroy" Beaugrand, age 59, of Green Bay, formerly of Racine, WI and Rochester, MN, passed away at his home, Friday, March 29, 2019. He was born October 2, 1959 in Racine, WI, son of the late Eugene and Mildred (Rist) Beaugrand. Leroy was a talented chef and shared his talents in the kitchen at many restaurants as well as with his friends and family. He married Cindy Breeden, September 16, 1978 in Webster, WI and the couple was blessed with a daughter. Leroy was an avid outdoorsman and especially loved to fish. He had an incredible sense of humor that he passed down to his daughter, Shannon. He also enjoyed a cigar and a beer with his friends and loved ones. His family was his pride and joy. Time spent with his family was most precious to him. He will be deeply missed by those he leaves behind. Gerald is survived by his daughter, Shannon Beaugrand Moody; 2 grandchildren, Chance and Kitty; a brother, Dennis Beaugrand; 2 sisters, Diane (Tomas) Simental and Jean (Jim) Krueger and his former wife and friend, Cindy Breeden. He is further survived by many nieces, nephews, other relatives and friends. He was preceded in death by 8 siblings: Patricia "Pat", Eugene "Gene", James, Ronald "Ronnie", Lawrence "Larry", Richard, Connie Beaugrand and Joan Beaugrand Saldana. A memorial service will be held at Lion of Judah Church (512 9th St., Green Bay), Saturday, April 6, 2019 at 1 PM. A reception will follow. Add your memories to the guest book of Gerald Beaugrand.